We love to be family at Vineyard, to support each other, share life, be generous to each other, encourage one another and to go deeper in our relationships with God together. Read on to find out more about our various groups. 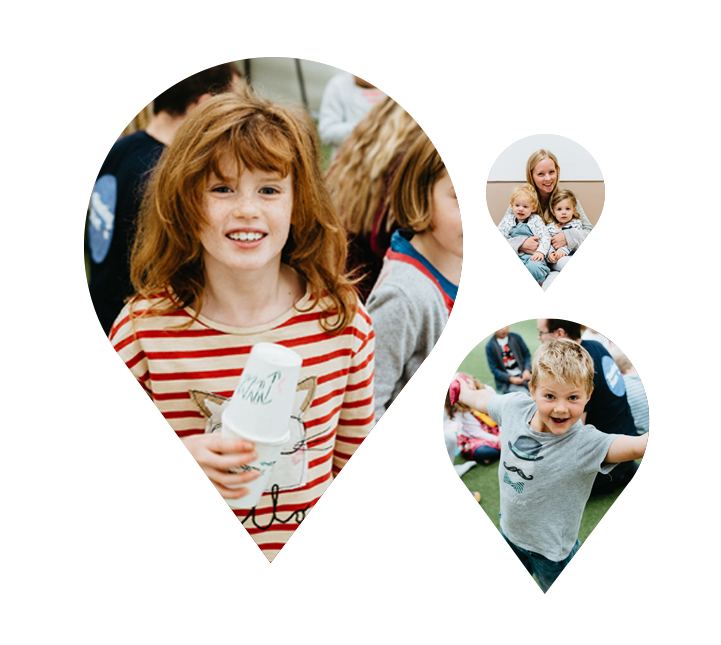 Our Core Communities meet every week during term time and are a smaller setting to make friends. They each look different but often involve worship, prayer, Bible-based discussion, games, sports, walks, meals, hobbies and a lot of fun! We always want to build deeper relationships with each other and with Jesus and Core Communities are a great place to do this. We are passionate about seeing every child being all that God has created them to be. We want our babies, toddlers, children and young people to experience the Holy Spirit and to pursue Jesus with their whole heart. We believe Jesus invites everyone, of all ages, to participate in His Kingdom. We are excited and expectant to see courageous, fearless, risk-taking young disciples of Jesus being used to bring love into their schools, clubs and families, Monday to Sunday. We want them to have fun and be excited about Jesus and His church. We’re all about helping young people become captivated by God, pursue His call for their lives and share their passion for Him with their peers and community. We want to deepen our young people’s compassion and concern for their communities, our city and the world which focuses on action and service. We love releasing the potential in our Youth and want to develop and equip young leaders. Our vision is that this passion will enable them to find their purpose and to become agents of change in their world. Every time we meet we offer a variety of fun, creative activities which focus on socialising and sharing. Alongside our regular gatherings on Sunday morning and mid week, we also run weekends away, day trips and engage our young people with mission outside of the church. Look out for our team on a Sunday wearing Youth t-shirts or hoodies as we’d love to meet you! If you’d like to find out more about Vineyard Youth please contact Megan Sadler, our Youth Team Leader. Students are a key part of Bath and whether you’ve been here a while or are just starting here, we’re so excited to see you! We would love you to play your part in what God is doing here and we want you to find a place to be trained and equipped so that we can serve the city and universities together. Core Communities are smaller groups of people meeting together over the week and these run throughout the church. Student specific Core Communities will be running during semester time. Check out the Core Communities page to find out more. We also meet for our Equipped gatherings where we worship and pray together and hear teaching. Our weekend away, Adventure Awaits, is coming up in March and we’d love to see you there. It will be a great opportunity to hang out together as well as getting to know others in the church. Follow our Vineyard Bath Students page on Facebook for updates, events and helpful podcasts and resources and check us out on Instagram @VineyardBath.